Hello Everyone, CP here once again to bring you something related to us for a change. I wanted to give you a brief link summary of our top 10 reviews for 2011. There’s some good-un’s in here! check it out! 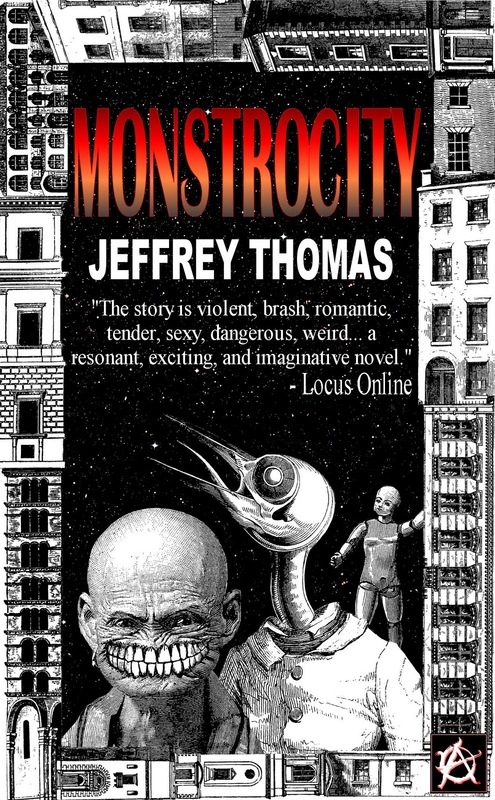 For this latest Guest Blog entry, Jeffrey Thomas, author of the book Monstrocity from Anarchy Books stops by. He’s written us an interesting piece about writing books in the digital age we all now live in, and how it’s affected him. I’m happy to announce that he’s coping quite well. Enjoy! Well howdy folks, I’ve got plenty to show you today. This past weekend was Games Workshop’s US Games Day. While i did record a few other videos, the one i wanted to upload was the Black Library Q&A session in the late morning of that Saturday. The only video of the session was taken by me, so you can’t find this anywhere else. Please enjoy, i will include the show notes for your convenience. Shot by: David “Commissar” Ploss for www.TheFoundingFields.com and Black Library. 1:22:00 – New and Noteworthy titles. Spotlight on BL features. 4:35:00 – Question 1: Availability of BL Books on Kindle and other various devices. 5:20:00 – Question 2: Upcoming Print on Demand titles? 7:10:00 – Question 3: GD first-timer inquires which Books/series each author has written, then asks them to pick their favorite book! 12:20:00 – Question 4: Possible secrets revealed soon in the Horus Heresy sereis? 13:20:00 – Question 5: If you could have miniatures made of any of your characters, which would you choose? 14:30:00 – Question 6: Are there any plans for future Black Library inspired miniatures? 15:25:00 – Question 7: As BL authors, do you get to pick what you write about? 21:38:00 – Question 9: Whom do you reference based on precedence regarding writing about various factions? 24:35:00 – Question 10: Where does Deliverance Lost fit into the timeline of the Horus Heresy series? 27:11:00 – Question 11: Is there interaction between BL authors and the codex writers/game developers? 32:15:00 – Question 12: Has anyone had a plot idea get flat-out rejected? 37:21:00 – Question 13: Is there any bit from the back-catalogue you would like to revisit or expand upon? 39:25:00 – Question 14: Are there attempts to line up the releases of books with releases on the hobby side? 42: 34:00 – Question 15: Deadlines? Good or Bad? 44:50:00 – Question 16: Any hints of Clint breaking into 40k more soundly? 45:44:00 – Question 17: Any chance of a novelization of the Space Marines video game from THQ? 47:35:00 – Question 18: What sort of sources do you use as reference material/inspiration for your books? thanks for watching! i hope you enjoyed it! Australia and New Zealand Free Shipping! Hey there! 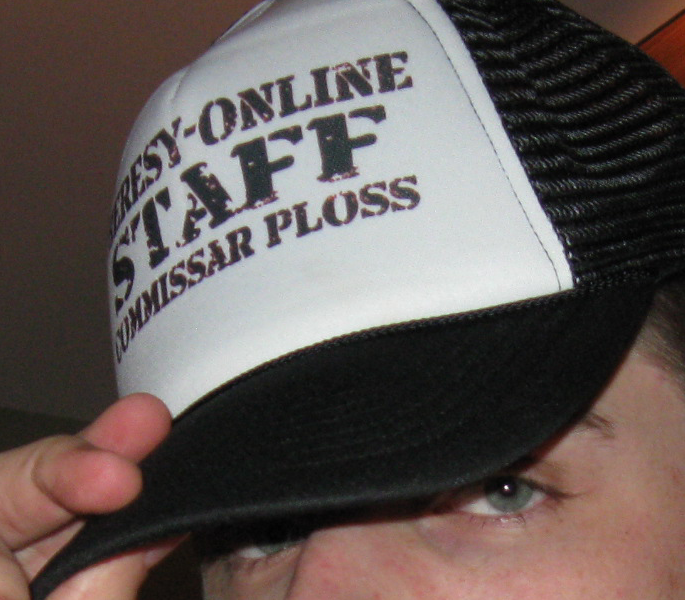 Commissar Ploss wanting to bring a special TFF promotion to the attention of those of you in either Australia or New Zealand. Abe Books, an online, discount book retailer is letting us give away free shipping to ANZ customers! Find out how! Commissar Ploss delivers his picks for the month of July. Here are the books you should be reading this month! Recommended Reading is here to give you an overview of books that are coming out across the the Science Fiction and Fantasy industry. This feature will cover multiple publishers and cover all aspects of the sci-fi and fantasy genres. No better time to kick these segments off then! woo! You’ll be able to click on any of the titles provided and purchase them from us at reduced prices! Take a look, i’m sure there’s something you’ll like. July features selections from Baen, Tor/Forge, DelRey, Orbit, Angry Robot, Black Library, Solaris, and Abaddon books. Let’s do the “Time Warp” again! Another anthology of rollicking, thought- provoking collection of tales by a star-studded array of top writers such as bestseller Mercedes Lackey and Eric Flint himself all set in Eric Flint’s phenomenal Ring of Fire series. After a cosmic accident sets the modern-day West Virginia town of Grantville down in war-torn seventeenth century Europe, these everyday, resourceful Americans must adapt or be trod into the dust of the past. Second in the hard-hitting military science fiction Orphan’s Legacy series. Ace intelligence operative Lt. Jazen Parker parachutes into a giant habitat known as Paleozoic on a mission to bring down the local politicos. He quickly realizes he’s been handed a near-impossible task. Paleozoic is a politically quarantined nightmare world with a culture confined to iron rivet technology and a ruling regime a bit to the right of Heinrich Himmler. Jazen’s inclined to abandon this particular hellhole to its ways—that is, until he uncovers a plot afoot that will throw a five hundred-planet alliance into the death-throes of anarchy. David Drake’s two Tom Kelly technothrillers in one volume. The Star Kingdom of Manticore and the Republic of Haven have been enemies for Honor Harrington’s entire life, and she has paid a price for the victories she’s achieved in that conflict. And now the unstoppable juggernaut of the mighty Solarian League is on a collision course with Manticore. The millions who have already died may have been only a foretaste of the billions of casualties just over the horizon, and Honor sees it coming. As Luke and Ben Skywalker pursue the formidable dark-side being Abeloth, the Lost Tribe of the Sith is about to be sundered by an even greater power—which will thrust one Dark Lord into mortal conflict with his own flesh-and-blood. On Coruscant, a political vacuum has left tensions at the boiling point, with factions racing to claim control of the Galactic Alliance. Suddenly surrounded by hidden agendas, treacherous conspiracies, and covert Sith agents, the Jedi Order must struggle to keep the GA government from collapsing into anarchy. It’s been many months since Rafel ventured over Barl’s Mountains into the unknown, in a desperate bid to seek help for their ravaged land. With his father’s Weather Magic exhausted, there seemed no other hope. Now this too has died. Only Deenie believes Rafel still lives, sensing her brother in tortured dreams. She also knows she must try to find him, as only Rafel’s talents can heal their land. The prospect terrifies Deenie, yet she sees no other choice. The Blight arose from nowhere. It swept across the bickering nations like The End of Times and spared only those with a single fortuitous blood type. Hot headed religion and territorial savagery rule the cities now. Somewhere amidst the chaos, however, there are groups of people fighting to survive. Heroes determined to create a better world. But can these warriors of the apocalypse hope to rediscover the humanity lost long ago in the blood and filth and horror of the Cull? And these have been your Recommended Reading selections for the month of July 2011. I hope you enjoy and hopefully you’ll find something you like. cheers! Sarah Cawkwell – Guest Article – "Time Management"
Hey folks, CP here to give you a new segment that will be occuring every once-and-a-while. I’ve politely asked some of my author friends to write some guest articles for TFF. Articles that specifically apply to their personal situations as authors. The first of these articles has been done by my dear friend Sarah Cawkwell, the “newest” to-be-published author for BL Publishing. Her book The Gildar Rift is sure to be a hum-dinger! I’ll provide a link at the bottom of the page where you can preorder it. without further adieu, Sarah Cawkwell on managing writing and still having a full-time 40hr a week job! Who am I kidding? I am the best procrastinator I know. I’m so good at it, that I’m going to write the definitive guide. When I can be bothered. As an author still so new to the writing world that my labels are still attached, there are frequently times when I actually take a step back and start to wonder exactly how it is that I can keep myself going. What we shall loosely call ‘the day job’ is pretty busy and there’s not a lot of room for taking a few minutes for navel contemplating. OK, there’s some room, but it’s rare. And when those lulls in the work aspect come up, you’re too grateful to get to the kitchen and make coffee to think of anything else. 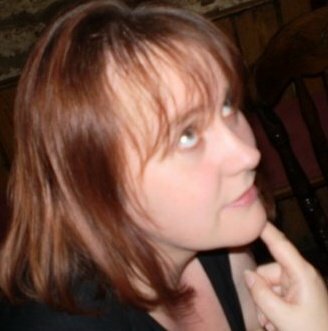 So, people have started asking me: ‘how on earth did you manage to write a novel whilst working full time and having a full time family to boot’? Well, here’s the core piece of evidence. I am great at Time Management. Actually, this is a lie. I’m shocking at Time Management. I used to train courses in the thing, so I have a great grasp of the principles. But I’m essentially lazy and so I make lists of lists. At the top of every list I’ve ever started is ‘make a to-do list’. I suspect that I have trapped myself in a recursive list loop. I am going to keep going round and round until the universe implodes with a sad little ‘pop’ sound. In essence, it’s pretty straightforward. Here is a typical weekday in Sarah-land. When I break it down like this, it’s alarming just how much of a routine I generally have. 6.30am – Alarm clock goes off. Between 6.30 and 7.30am – get up, washed, dressed, breakfasted and out the door. 7.35am – generally remember I’ve forgotten something, like my purse, phone or pass for the security lock and turn round to fetch it. 7.40am – leave for a second time. 8.00am – arrive at work, where I remain until between 3.30 and 4pm on a good day. On a Thursday, due to the fact I have the MEGA MEETING OF DOOM, this can sometimes see me staying at work until gone 6pm. But for the sake of this article, let’s assume I finish at 4pm. 4.30pm – Get home with great intentions of getting started on some writing. Turn on PC. Make cup of tea, get changed, sit down and go through the forum round up. 7.00pm – Realise that the Internet has sucked my soul dry and stolen nearly three hours of my day. Curse self roundly and shut down the Internet. 7.10pm – Actually do some writing. I set myself a sort of daily target, which is usually between 1,000 – 2,000 words (depending on the project), but I’ve learned very swiftly not to stress out if I don’t hit target. Some days I can write anything up to 3,000 words plus… whilst others, I struggle to get 500 out. I am blessed with the Sixth Sense that is Touch Typing and so I can type very, very fast. This article by this point, for example, is 544 words and I wrote that in less than ten minutes. You get the picture. 9.00pm – Assuming I have made above target, or have given up, I allow the resuming of the soul-sucking, almost invariably by World of Warcraft. I’ll just pop on for an hour, I will say to my family, who just about remember what I look like. 12.05am – Shut down PC and go to bed for it all to start over again the next day. Silliness aside, it’s actually not too hard to work writing into a full time job. I don’t want to have to do that, but at the moment, it’s a necessity rather than a choice. In what we shall joyfully refer to as ‘the ideal world’, I give up full time work and become a full time writer; sitting in a garret somewhere and staring out of the window in a pensive brood, contemplating the mysteries of life. Probably sipping on a chocamochafrappacinospresso or some other frothy poncy coffee or other. As it is, all I do is prioritise. What’s really important in this is that I continue to enjoy myself. The moment the writing becomes a chore, I go and torment my family for a while until they’re begging me to go and write. (Note: I find it helps to maintain order if they can actually recall my face when I’m being cross at them). It also helps that my PC does not have a room of its own and I’m around people whilst writing. This isn’t always a good thing, because it does lend itself to distractions – but at least I’m not isolated. Yes, it’s a tough thing working full time and writing as well, but let’s look at another bit of evidence. Sounds simple and you know what? It really is that simple. I love my writing and I want to move to a place where I can make it the main source of income. I have too many responsibilities and financial commitments to make that leap at the moment, so I have to grin and bear it. See me grinning? Oh, wait, that’s my grimace. It is hard to do. I won’t lie about it and there have been days when I’ve thought about giving up everything, selling my house, buying a giant mushroom and walking around underneath it like an umbrella until someone locks me up. It is, however, easy to commit yourself to doing it. If you want to succeed, you will find a way to fit everything into the hours of your working day. But don’t let it rule your life. Never forget what’s important. Make time in your non-existent remaining time for the people you love. Otherwise, you may come home one day to find a child sat in your living room and politely ask them who they are. ‘I’m your son,’ he’ll reply, a little sadly. ‘Oops,’ you’ll respond and then go off to deal with the cats who, in the absence of being fed/loved have grown opposable thumbs and are building nuclear warheads in the back yard. Hello brothers, Commissar Ploss here with another piece of holiday cheer! I’m giving away a book from my private collection. There are only two simple steps you need to follow in order to be entered into the giveaway, check it out! I’m giving away my signed copy of First & Only. 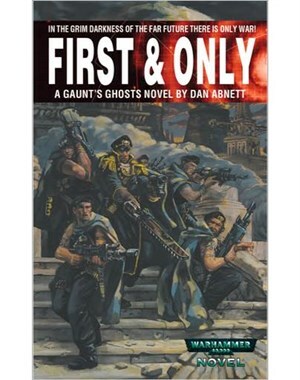 Dan Abnett’s debut Gaunt’s Ghosts novel, with it’s original first printing cover art. Why? Because i’m a nice guy, that’s why. And because i hope you’ll spread the word about The Founding Fields, because i rely on you. I can only do so much with Twitter and Facebook. I need you all to spread around the love. Do that, and i’ll keep giving stuff away! deal? There are only two mandatory steps for getting into this giveaway. First you need to follow The Founding Fields using the Google Friend Connect application on the right side of the page(if you’ve done so already, that’s good! ), then you need to post a reply in this post saying that you’ve done so. and remember, be sure to spread the word about The Founding Fields to all of your friends. thanks guys and gals, and Happy Holidays! In line with Graham McNeill’s latest blog post, originally posted Friday, July 23, 2010. It seems that Graham has finished his 20th novel! I’ll quote the specific excerpt below. In the post, he won’t tell what the book is or who its for, but through a little digging and emailing a good friend and insider, i’ve found out the basic info. …just finished writing another novel yesterday and have some time on my hands before the next project. I can’t tell you what this finished novel is, as it hasn’t been announced yet by the good folk who’re publishing it. But I’m very pleased with how it’s turned out and, I’ve just noticed, it’s my twentieth novel, which is no small landmark by my reckoning. Once the cat’s out of the bag, I’ll be sure to big it up (in-between real work, of course…). So as you can see, with that he’s not giving us much to work with, especially information that is as interesting as a landmark 20th novel! So through my emails and info digging i’ve discovered that Graham McNeill has just finished a Cthulhu book for Fantasy Flight Games. Yes, you can quote that. And make sure to spread the word!